The idea of a “model” in the music industry is all but gone. Some still traverse the traditional route, but for many contemporary artists there are many more options. No one knows this better than Doug Appling, better known as electronic wunderkind Emancipator. Before hitting it big in the States, Emancipator became a phenom overseas—most notably in Japan—at the age of nineteen riding a wave of eagerness for his unique blend of instrumentation that includes rousing performances on the violin by Illya Goldberg. The young artist moved to and performed in Japan, keeping a keen eye on what was happening back in the states before taking North America by storm in late 2009 and early 2010. 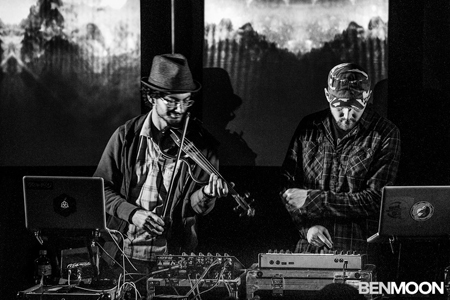 TheUntz.com was able to catch up with the Emancipator before his January 19 date at the Bottom Lounge in Chicago. The tour’s going great; we just had our first date at Canopy Club in Champaign, and we’re just excited for the next five weeks—and I’m excited at least to be bringing this new album out on tour. Anything new in store for the tour and live performance? I have these songs that I’ve been working on all winter that I can wait to share with everyone, and there’s new production with a new video rig which is pretty dope. They bought us a projector last month to make these triangle panels. You’re known for a really lush stage show. How much live instrumentation goes into one of your performances? These shows feature me and Illya playing onstage, I’m not bringing any instruments myself but we’ll still have some musical surprises for you guys. Your sound has matured and evolved so much over the course of your very short career. What was your process in developing your unique sound? Well I spent a lot of time as a new producer just on trial and error so I just remember playing a song and creating loops from scratch, that’s kind of how I made my signature sound and I try to teach myself all along the way. It’s kind of funny because I consider myself an electronic musician but a lot of people may hear my music and don’t think it’s electronic music because it doesn’t necessarily mesh with what’s popular. I arrived here because I had this background in classical music and folk music which unfortunately don’t feature a lot of drums. At some point I fell in love with the drum kit and started playing it and eventually meshed these two styles into one. What is that classical music background of which you spoke? Violin was the first instrument when I was four and I played that for eight years before I got more into drums and guitar, bass and other instruments too. Currently in my studio I have a synth, bunch of guitars, mandolin, banjo, kalimba, flute; just a lot of instruments to record and sample and produce them electronically. That’s kind of how I get my unique sound, I like to take acoustic instruments and lend them to electronic production. Can you tell us about your experiences in Japan? I think it was great to be able to get that experience early on. For my career, I have a good foundation going to be able to let this music grow. It was really thrilling to be able to dive right in to a place like Japan, halfway across the world and have a following there so it’s been an inspiration and a motivation all along the way. How much did that experience prepare you for America? It’s funny, my first show in Japan was at the Rolling Stone Cafe and I thought that was a big deal for me at the time and at the same time my first show in the US was opening for Bonobo’s live band at one of the biggest venues in Portland so even here I kind of feel like I dove right in. I see the arenas getting better so I think I’m just constantly growing and adapting to what the situation is. I don’t feel like I’ve made it but at the same time I don’t feel like I’ve learned everything I can and I’m not bored of it yet so it’s still fresh. Where do you see yourself fitting into the larger framework of electronic music? It depends on where you think it’s at right now; it’s a lot of different places. I think it’s getting so popular that people are beginning to discern between the genres moreso, not like ten years ago when you said you made beats people assumed you meant techno, people actually know about this stuff. I think it’s going to come around full circle and you’re going to start seeing more fusion bands of electronica mixed with instruments which has been popular in our scene for awhile but I think you’ll see more and more of that. For those who have never experience a live Emancipator show, what can they expect? It’s all about setting the vibe for this kind of music; expect some dope beats I guess. It’s not too in your face, we just try to keep it clean and evoke some emotions. A year from now I’d like to be moving in a positive way with my music, just like this year but hopefully with a lot of new material under my belt. We’re looking forward to getting on the festival scene and whatnot, it should be a good year. The White Panda arrived in Chicago feeling as though they had something to prove. After the duo of Tom Evans and Dan Griffith rocked the stage at Lollapalooza to an overflow crowd, expectations were high heading into their October 7 show at the House of Blues. Surprises, indeed. Decked out in their signature white on white suits, the pair added a slight curve ball. Implanted LED lights allowed the eyes and ears of the masks to follow with the music. The set-list drew heavily from the latest offering from the mash-up duo, Pandamonium, including a Kanye West-fueled version of M83’s Midnight City, which got the packed hometown crowd moving early. Throughout the show, The White Panda showed why they are the last of a dying breed, expertly mixing dance and EDM hits with songs more often found on the top-25 pop music hits. From the get-go, Evans and Griffth had the party going as one manned the controls, allowing the other to get the crowd moving. From beginning to end, The White Panda at The House of Blues was almost exactly what one could expect from one of their performances: a good time of reminiscing over mash-ups. Jack Crawford, better known as DuBuddha, may well be the best example of the growing generation of electronic artists who have come to represent the musical stamp the internet generation has put on the world. Gone are the days when artists had to be from London, Detroit or one of the coasts to be noticed, replacing hip locales with WIFI routers and hot clubs with Soundcloud. While Crawford of the EDM-hotbed Missoula, Montana may owe his success to the web, as his stuffed Soundcloud profile can attest, it is also a tricky ocean with a nasty undertow for aspiring artists. 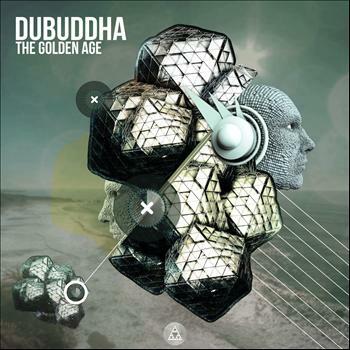 Luckily DuBuddha has come well equipped, as he demonstrates with his latest offering, The Golden Age, a six song EP that is effectively a personal showcase of what the artist describes as “divine grime” on his Facebook page. The whole release has an eerie, transcendent sound that makes it perfect for the Halloween season quickly approaching. The opening track, “The Secret,” features a smattering of bass thumps that grow more hectic throughout. Starry, flittering synths come in and out to show off the immensity of the power under the hood of the track. Throughout the synth line feels like someone lightly tap-dancing across the listener’s ears. DuBuddha has a secret, and it’s working well here. “Purple Whale Fairy” starts off as an airy homage to a late night walk through the forest that methodically transforms to a dream-like trance of heavy bass rolls accented by wavering synths and distorted samples. The whole thing comes together to construct a cut perfect for the Friday nights of fall. The offering is solid to say the least with professional production to boot. It also plays as a full project rather than a loose collection of tracks tossed together ambiguously. On the release, DuBuddha has managed to steer clear of the traps of his success and in turn produced a creepy good time. With no tour dates currently posted, it looks as though we can look forward to Crawford plugging away at his craft and supplying us with some new tunes soon. UK legend SKisM has set off on a journey in electronic music that he has dubbed the Division Mix. Part Two picks up right where the first installment left off, allowing for the two pieces to be played one after the other to create a pair of puzzle pieces that eventually will lead up to an 80-minute odyssey through EDM. The second part of the series gets ominously darker with slow, methodic basslines accented by haunting synth lines before including a uniform snare that sends the whole track careening off the rails toward a moombahton-like dance line. The twenty-minute track is everywhere at once, hopping from drum n’ bass to hard dub and back again faster than the listener can really pay attention. As artists try to conquer all aspects of the burgeoning electronic scene, SKisM has proved he can find a way to mesh it all into one. The Division Mix series is essentially a Costco for EDM music, a Now! album sampler that doesn’t delve too deeply into anyone one discipline, rather allowing for the listener to get a taste of each. That isn’t to say that the sound is watered down. It is no easy task to take several very different sounds and bring them together into a single track, much less an 80-minute monster that is the goal here. That the mix is being released under Never Say Die Records makes sense, as the London-based label has long pushed for expanded creativity in the EDM scene and SKisM perpetuates that perfectly. Focusing on working in the studio, SKisM’s tour dates have slowed a bit, paying shows in Belgium and France over the next two months. Known for his dubstep remixes that have brought him attention from the EDM world, SKisM has set out on an interesting exploration of which we find him only halfway done and eager for the rest.